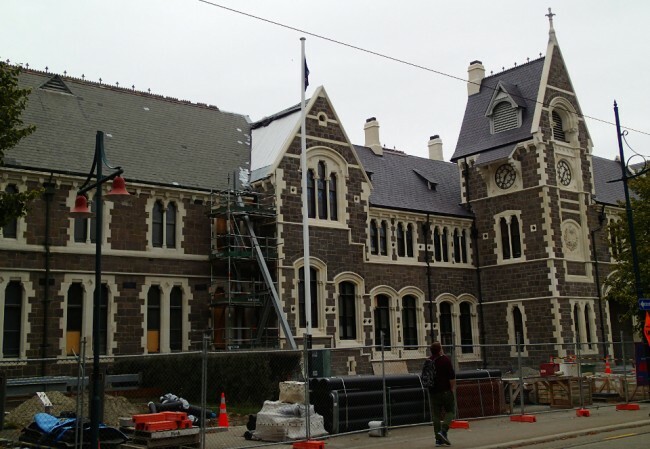 Since I was only spending one day in Christchurch (New Zealand), I didn’t expect to have enough material to write a blog post about it. I vaguely remembered hearing about an earthquake a few years ago and assumed that almost everything would be rebuilt by now. I was wrong. On both counts. I quickly learned that there wasn’t one but TWO big earthquakes here, within the space of six months. The first occurred on September 4, 2010 and measured 7.1 on the Richter scale. It caused significant damage but surprisingly, no one was killed. Then on February 22, 2011, a second quake hit. That one measured 6.3, but occurred closer to the city and nearer the surface. 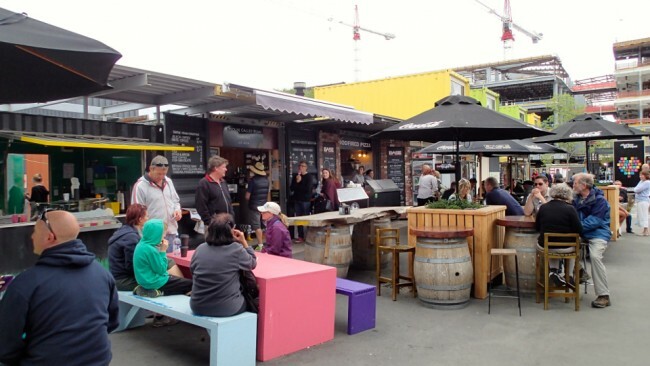 It caused 185 deaths, injured thousands of people (a few hundreds seriously), and destroyed or damaged 80% of the buildings in downtown Christchurch, requiring the demolition of over half of them. Five years later, the city centre is still a jumble of cranes with buildings being either demolished, repaired, rebuilt, or still awaiting a decision as to their fate. 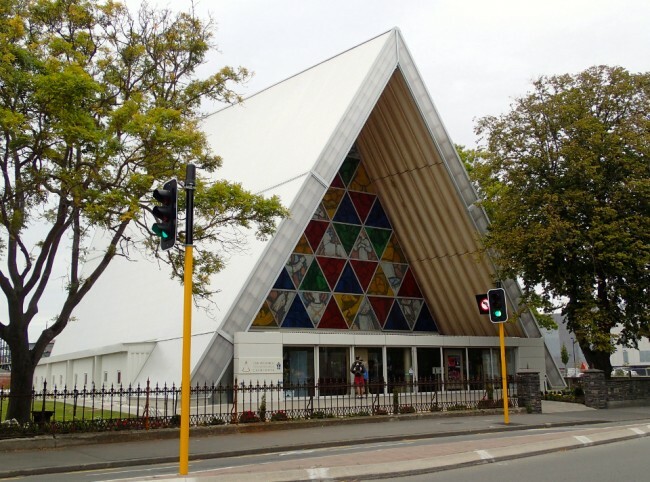 The Cathedral, Christchurch’s landmark building, is one of the latter. The decision still has to be made whether it will be renovated or demolished. While awaiting the verdict, it sits crumbling, half collapsed and filled with pigeons, behind a protective wall. Tourists are still taking photos though. I remember this place well from my trip in 2009. It feels weird to see it like that. A transitional cathedral has been built to replace it temporarily. It’s called the Cardboard Cathedral no doubt because of the 98 polyurethane-coated cardboard tubes used in the construction of its ceiling. 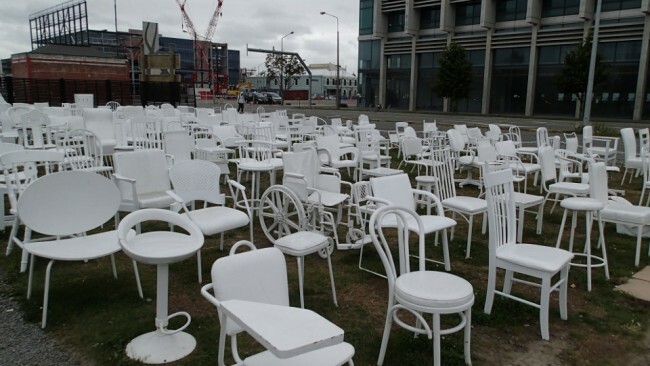 Across from it, an earthquake memorial has been set up consisting of 185 empty chairs, all different, all painted white, sitting in well ordered rows, one for each person killed by the earthquake of February 2011. 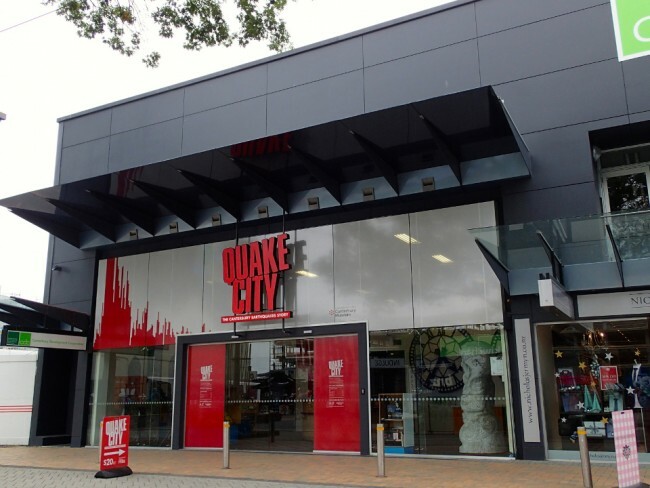 I forked out NZ$20 to visit the new Quake City exhibition hoping to learn more about what had happened. There was more information than I ever wanted to know in there, including a movie where 15 people described their experiences during and after the earthquakes. They also showed a video segment of a street during the second (strongest) quake, where the facade of a building is seen collapsing while the pavement buckles and cracks. One minute people are going about their normal business, and all of a sudden the ground starts shaking. Some people go stand under doorways, but others seem confused as to what they should do! Yet, New Zealanders are no strangers to earthquakes. 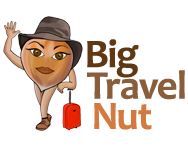 Their country sits at the juncture of two tectonic plates splitting it lengthwise. On average, a sizeable earthquake happens every 10 years here. 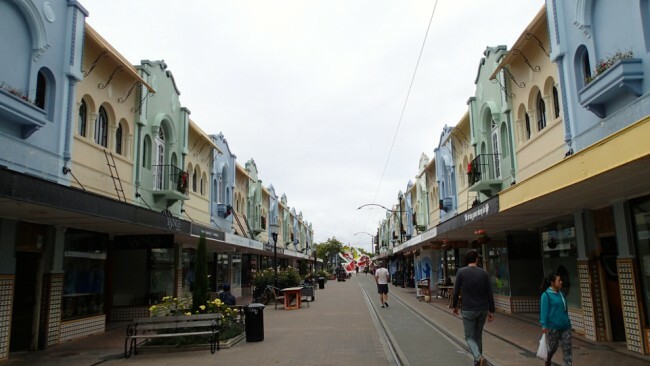 In Napier, the 1931 earthquake pretty much levelled the city, so after clearing up the rubble, they rebuilt the whole town from scratch (in art deco style no less) within a few years. Not so with Christchurch. By some estimates, it will take 50 years before the city is completely back to normal, but this number might be somewhat pessimistic. I learned at Quake City that many buildings that have sustained extensive damage are being taken down. Some are just blown to rubble, but others are taken apart window by window and brick by brick in a sort of “reverse” construction process! No wonder it’s taking so long to fix up the city. 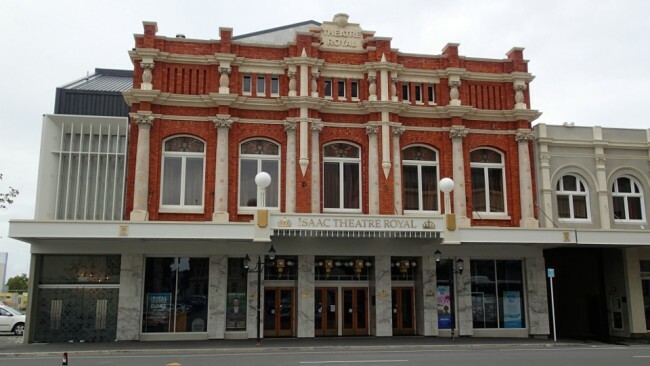 Despite the magnitude of the disaster, a few of the older buildings have survived, including the Canterbury Museum, the Heritage Hotel, and the Isaac Theatre Royal. The Avon River still flows placidly between its grassy banks. The Botanic Gardens give no hint of the tragedy. I also came upon a whole street block of kitsch art deco facades in pale green, yellow and blue, which repeated perfectly. The whole thing looked almost Disneyesque, especially compared to the rest of downtown. Even though it’s called New Regent Street and looks somewhat fake, a little research revealed that it is an authentic heritage site, having originally opened in 1932. Despite the work going on everywhere, things are clean and orderly, and there seems to be optimism in the air. Murals are painted on several walls, art projects are encouraged in vacant spaces, and the tourist tram still rides around showing visitors the city that won’t give up. 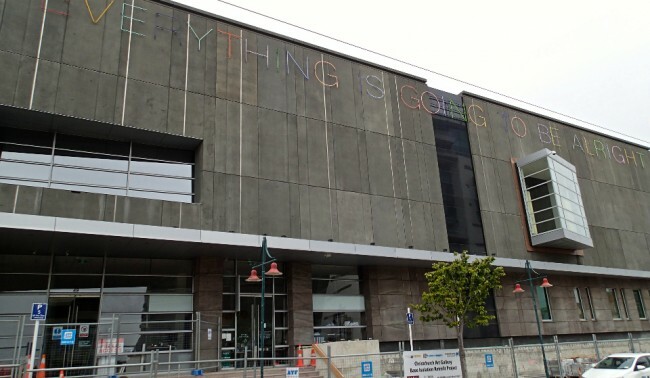 As if to confirm this impression, the Art Gallery, which just reopened last December, displays the following message in colourful neon on its outside wall: “Everything is going to be alright”. What a distressing story, Marie. 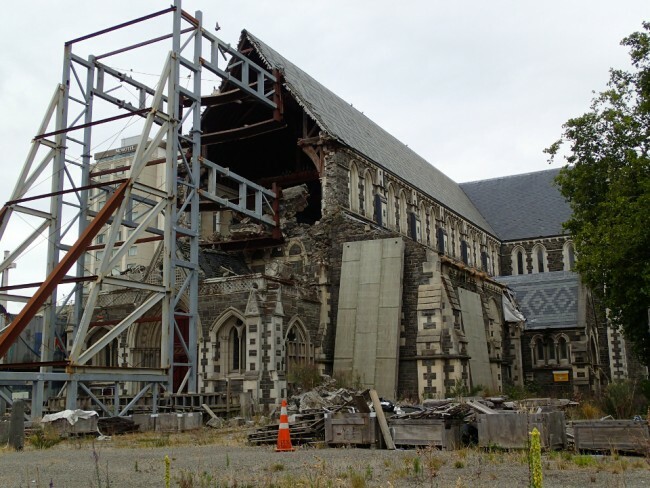 I had no idea the earthquake damage was so bad in Christchurch, a city I remember fondly from my visit there. I have a memorable photo of a local character called the Wizard holding forth in front of that cathedral. I’ll be interested to see how they rebuild the city: these disasters sometimes present an opportunity to do something new and different. In fact, a disastrous fire that burned down the central core of Toronto in the early 1900s resulted in the downtown business section we have today. Yes, I was quite surprised myself Paul! That’s why I decided to write this story even though it’s not my usual “style”. 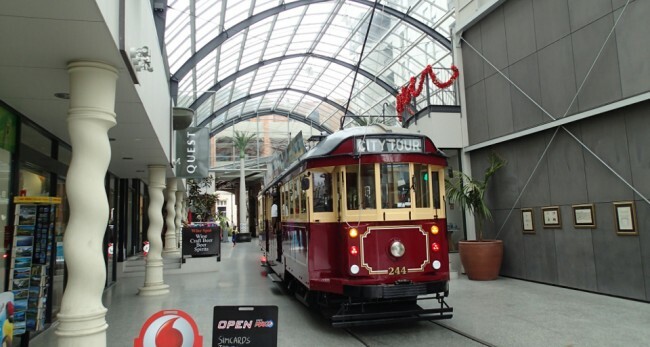 Like you, I was shocked to see how Christchurch really looked like a post war zone! We just visited for 1 day/night right around Christmas so we could take the Tranzalpine train to the west coast, which was gorgeous. However, we were really impressed with the vibrant street art here and the local vibe that the city will go on. Still shocked by this artical! We never know what will happen next second, just cherish life. 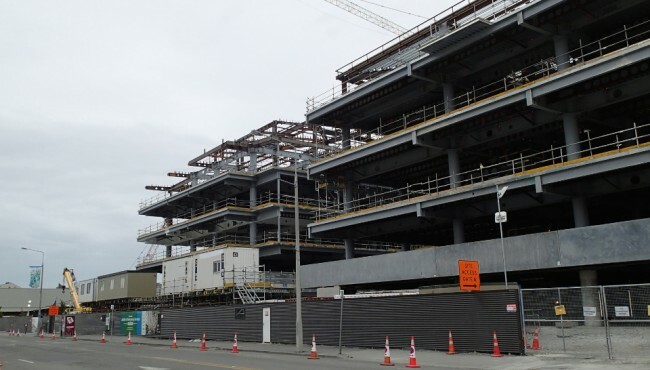 With kinds of cranes, hope the construction after earthquake can make life better. 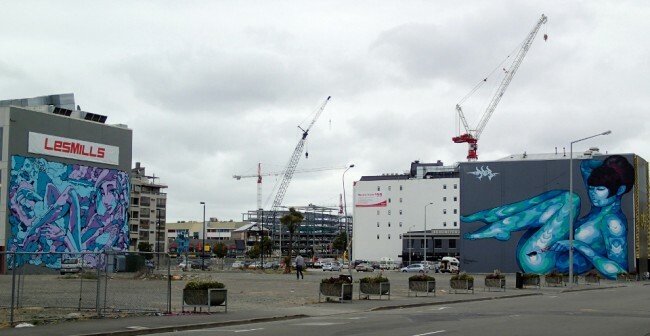 I remember Christchurch before the earthquake. Good thing is, the city can recover easily.